Advanced Form – Utilities. This screen provides assortment of infrequently needed buttons for maintenance of your data. These tools are usually only useful if you have been making large scale automated changes to your data such as importing from external sources. 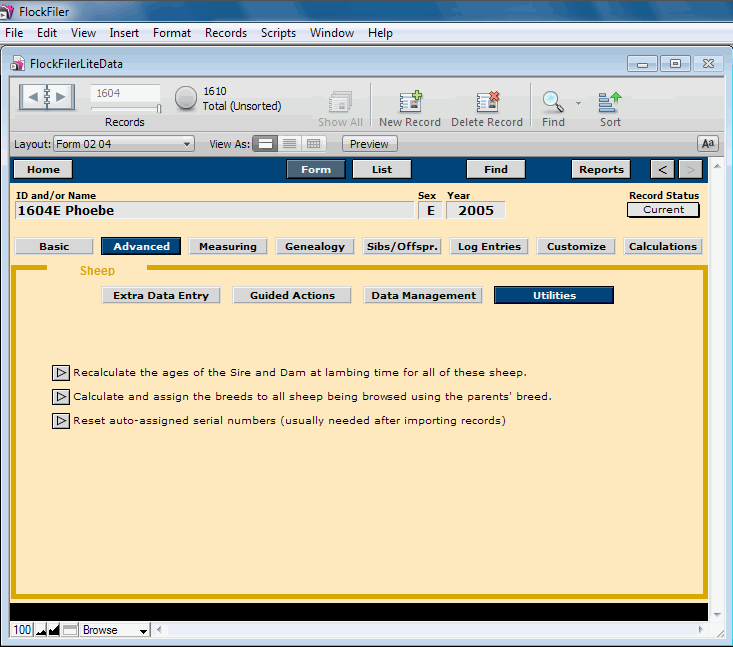 These activities are done automatically during normal data entry.